Professional Arabic Interpreting Services via Over the Phone Interpreters (OPI) and In Person Interpreters available 24/7 to meet your needs. If you need fast and accurate interpretation from English to Arabic, or Arabic to English, our phone interpreters are standing by. Our in person interpreters can be at your location within 24 hours of your request. When it comes to legal, medical, and business, ensure your message is conveyed by a professional interpreting services company with over a decade in the industry. Get your free online interpreting quote today. 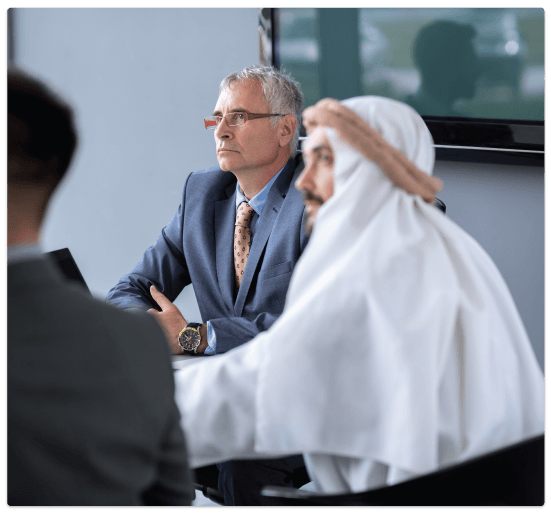 Whether you’re based in Medina or Marrakesh, or visiting the Middle East on business; if you need an Arabic interpreter, you can count on us. 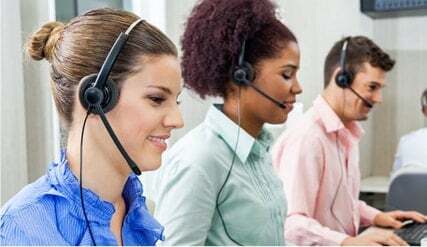 We can connect you with a native phone interpreter in minutes, or send a professional in-person interpreter straight to your office with as little as one day’s notice. All of our Arabic interpreters are native to the region you require, so we guarantee nothing will get lost in translation. With a customer satisfaction rate of 9.3/10, we’re confident that our Arabic interpreting services will surpass your expectations. Just think about it. Even the smallest error in medical or legal interpretation can lead to a patient’s misdiagnosis or contract rendered null and void. So don’t rely on your relative, friend or unqualified employees to interpret important information. We can provide you with a fully qualified, highly trained medical or legal interpreter, who is not only fluent in Arabic, but a Subject Matter Expert as well. Reduce liability for your clinic or law firm and contact us today. Are you traveling to Abu Dhabi or working in Rabat? Do you need an Arabic interpreter to ensure your business proceedings go smoothly or to help you seal the deal? How about someone to guide you through simple situations, such as asking for directions or helping you communicate with a friend or relative? We provide highly trained medical, legal and conference interpreters for all types of events, but we can also connect you with a fully fluent interpreter for your personal needs. We guarantee some of the best rates and highest quality language professionals around.